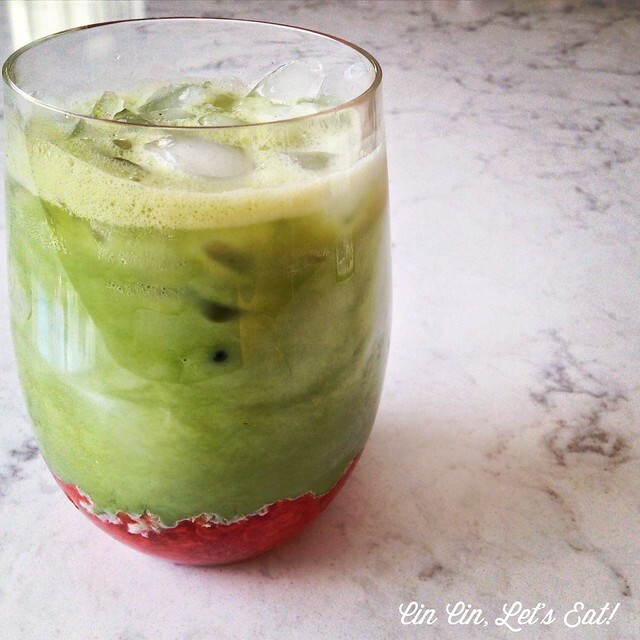 Strawberry Matcha Latte [recipe] – Cin Cin, Let's Eat! 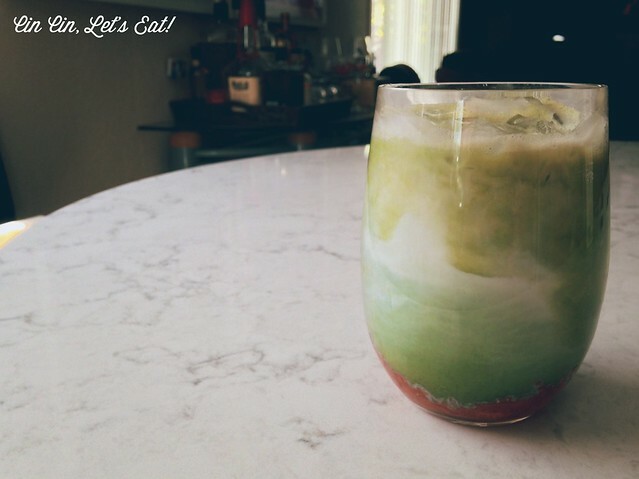 I love matcha (aka green tea) anything, and when I saw pictures of this colorful drink from a famous boba shop in San Francisco, I knew I had to try to make it at home. 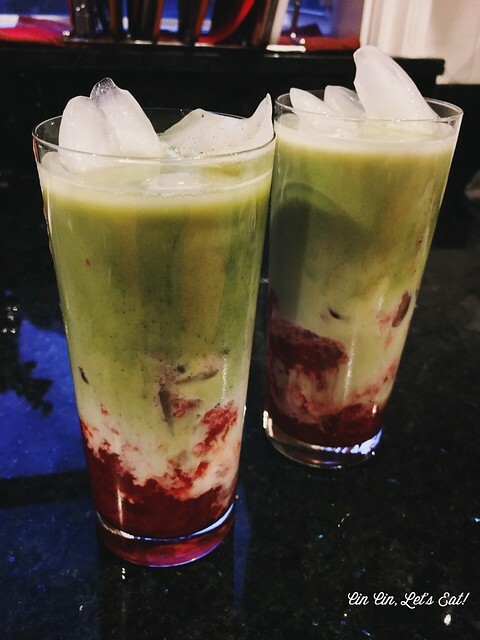 Matcha can be bitter-tasting without some sweetener, and the sweetness of the strawberry really pairs well with the flavor of the tea. And of course, if you like the addition of tapioca pearls, they will add to the sweetness of the latte as well because they are usually cooked in brown sugar and honey. This is the perfect pick-me-up drink on those dreadful afternoons. Enjoy! I like to keep a jar of the strawberry sauce in the fridge so I can make this drink in a flash. The cooked sauce will keep for a couple of weeks in the fridge. This recipe makes about 1.5 cups of sauce. It’s great on pancakes and ice cream sundaes as well! Cut strawberries in half and add them into a sauce pan along with sugar and 1 Tbsp water. If using frozen strawberries, there’s no need to add water as there are plenty of liquids in them already. Let the strawberries cook down until soft, bubbling, and syrupy, about 8 to 10 minutes. Do a quick puree in blender, either leave it slightly chunky, or puree until silky smooth. I personally like some texture in the sauce, but make sure the pieces are small enough so that they don’t get stuck in the straw. Store the sauce in an airtight jar in the refrigerator, it will last for 2-3 weeks. 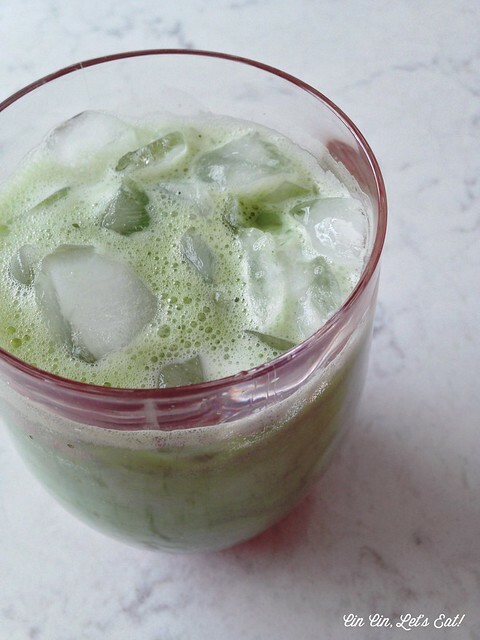 While the sauce cools, make the matcha tea. Whisk 1 tsp of the matcha powder with 1/4 cup of boiling water and 1 Tbsp honey until frothy. 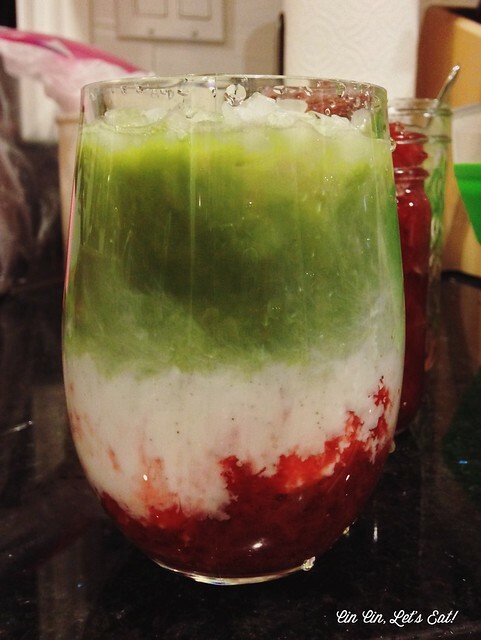 To assemble the latte: In a glass, carefully layer in this order: 1/4 cup strawberry sauce, boba (if using), crushed ice, milk, and top with matcha. Snap a picture of this beautiful drink before stirring it all up and enjoy! To make it even more decadent and dessert-like, top the latte with a big scoop of vanilla ice cream (or matcha or strawberry flavored.) YUM!